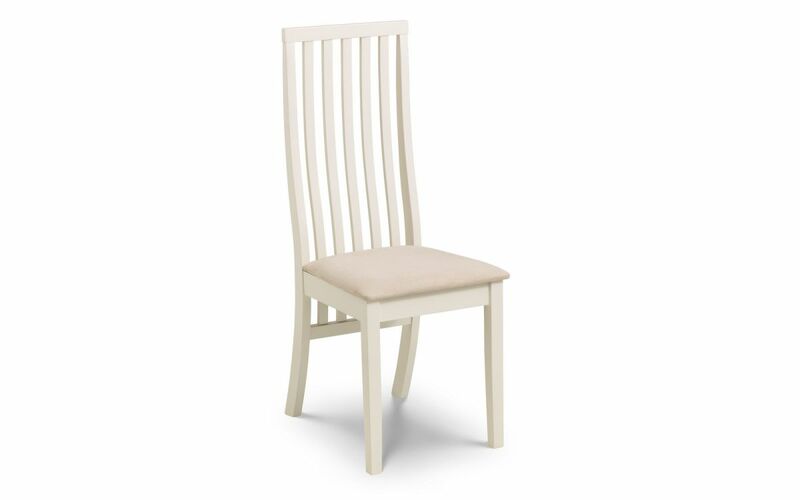 The Verona Dining Chairs are beautifully crafted luxury dining chairs made with a high slat back and made from Solid rubberwood in an ivory lacquered finish and a ivory faux suede seat pad. This item is simple as well as modern and coordinates well with other furniture. Solid Rubberwood & Faux Suede.